Favored for their numerous health benefits and beautiful presentation, grains are one of the hottest trends in the food industry today. Grains cultivated from around the world call many places their home, including the fertile Mediterranean coast and the highlands of Peru. Ancient grains are full of nutrients and vitamins, and are one of the hottest trends in the food industry today. 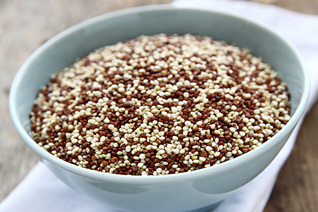 Favored for their numerous health benefits, varieties such as Italian Organic Semipearled Farro and Peruvian Organic Red and White Quinoa make a beautiful presentation for any hot or cold dish.